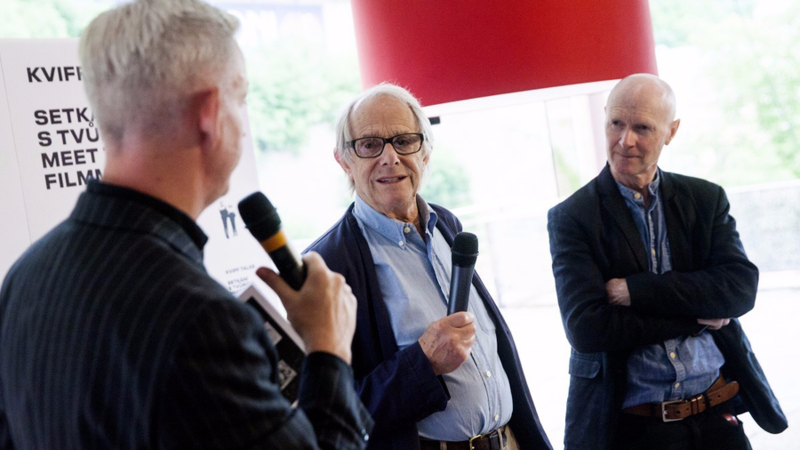 The fifty-second Karlovy Vary International Film Festival just wrapped on July 8, and among this year’s recipients of its prestigious Crystal Globe, awarded for “outstanding artistic contribution to world cinema,” were director Ken Loach and his longtime screenwriting partner Paul Laverty. Over the past two decades, their collaboration has yielded some of the most powerful works in contemporary British cinema, including The Wind That Shakes the Barley (now streaming on the Criterion Channel on FilmStruck in a limited engagement), which chronicles the lives of two brothers during the Irish War of Independence and the Irish Civil War, and last year’s Palme d’Or–winning drama I, Daniel Blake, which skewers the brutal bureaucracy of the British welfare system. 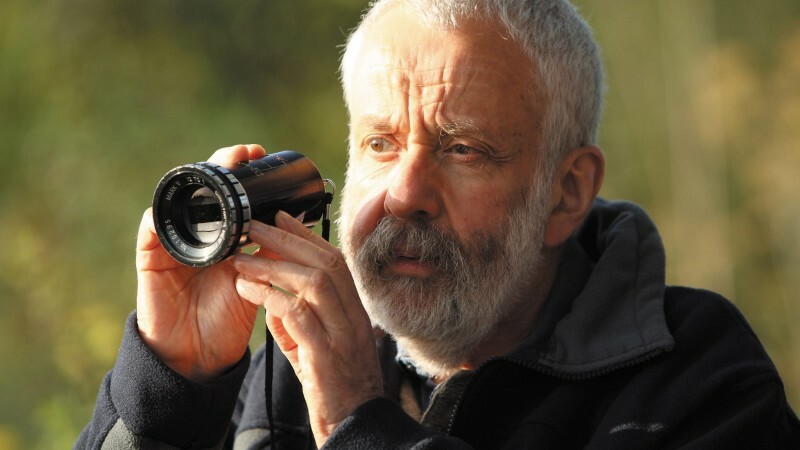 Laverty’s deep sense of social engagement mirrors Loach’s own, reflected in the director’s longtime membership in the British Labour Party and a filmography that has addressed everything from homelessness (Cathy Come Home), race (Ae Fond Kiss . . .), and workers’ rights (Bread and Roses, The Navigators) to the Spanish Civil War (Land and Freedom) and the Iraq War (Route Irish). I got a chance to sit down with the pair at the festival, where, in addition to receiving their awards, they were on hand to introduce Land and Freedom and Sweet Sixteen as part of a thirtieth-anniversary celebration of the European Film Academy. Here are highlights from our conversation, in which we discussed the sometimes controversial political convictions they have expressed in their work together. When you were here in the Czech Republic more than twenty years ago, there was a heated discussion about the film you were premiering, Land and Freedom. I wonder if it ever gets tiresome to defend your political views. Ken: No. I mean, it’s the stuff of life, isn’t it? Paul and I were talking about it on the way here because that was a very ironic situation. Land and Freedom is a film about the Spanish Civil War and the split in the left between the side led by the Communist Party and the one led by the Social Democrats, who said that there couldn’t be a socialist revolution, that it must be a bourgeois revolution that leaves power in the hands of the bourgeoisie, the industrialists. For us the film was a fiercely anti-Stalinist piece. It was set in 1938, the time of the Moscow trials, the purges, the executions—absolute oppression of the people behind the revolution. But in the film the revolutionists sang “The Internationale,” as they did in life. When the Czech students heard that song, they attacked me for making a Stalinist film, but they hadn’t seen the rest of the film. But you really couldn’t see the whole film and think it was pro-Stalinist. I felt very sad. In the political tradition that I grew up in, you hated Stalinism—that was the first enemy. To find myself being accused of it was very unwelcome. What can you tell us about your and Paul’s collaborative process on The Wind That Shakes the Barley, which, like Land and Freedom, also dealt with controversial subject matter? Paul: It was a great project to research. Ken had long been interested in Ireland because of his connection with the wonderful Jim Allen, who wrote Land and Freedom. Jim was very interested in the subject because of his own background, and I was interested as well—my father’s antecedents all come from Ireland. We wanted to do a big historical drama, so it seemed to dovetail perfectly. Ken had mentioned to me the Tom Barry book Guerilla Days in Ireland, which we thought would be a good premise. The process was very interesting because you had to be steeped in the material, so the big challenge was getting our heads around it, doing all the research—to do the story, but also to smell it. A key thing was actually going around the areas where the ambushes in the Irish War of Independence and the Irish Civil War took place. I remember we did this in February and March, and it was quite an experience to be up in those hills because it was freezing, windy, and always wet. We realized that perhaps this was a young person’s war—to actually fight against an occupying army in a climate like that, you have to be young, and you also have to have the support of the community. So just by marching around in these places, we felt and saw what they [the Irish Republican Army] were up against, being chased and, when they were caught, tortured. It was very hard to find eyewitnesses. We talked to grandparents and to children of people who had fought. Then we went into the museums, where we found books and letters, songs and poetry, photographs. There were so many real-life stories, but if we did one of those, we would have everybody on our shoulders, which would have crushed the possibility of choosing what we wanted to deal with. We made a decision to use fictional characters inspired by real people, so it was very important to get the balance right of who was a farm worker, who was a son of a farmer, who was a professional. Then we created a backstory for each and every character, even the marginal ones. At one point we actually talked about the possibility of doing two films: one on the War of Independence, which was easier to deal with because many films had already dealt with that, and the Civil War, which was much more controversial. The trickiest thing was having so much information about these two big historical moments while also leaving space for the individual characters to have some life. Your films screened as part of a celebration of the thirtieth anniversary of the European Film Academy. Do you still think there is such a thing as a “European” film, and how do you think it has changed over the last three decades? Ken: There certainly still is a European film and the strength of it is its diversity—from Polish and Czech film to Romanian film, which has had a real resurgence, to Spanish and Italian and Scandinavian. There are a lot of traditions, and I think that there is a sense of social engagement in most of them, in whatever form they tackle it. But it’s a failure of the European Union that it hasn’t protected and enhanced that presence because of market forces, and because they allow American commercial films to push out European films to the point that our own cultures are being diminished. How did you feel about the political reaction in the UK to your last film, I, Daniel Blake? Ken: We learned a lot from the politicians who were involved at a national level in the case of Daniel Blake. In a way, we saw this as a partnership. I can’t think of a politician who has tried to use it against us. Years ago we did a film about homelessness called Cathy Come Home and the Labour government then, which was quite right-wing, said, “Ah, this helps us understand homelessness,” but then did nothing about it. Whereas the Labour leadership now says they will abolish the system that victimized Daniel Blake. We’ll have to hold them to it, but if that holds, that’s great. 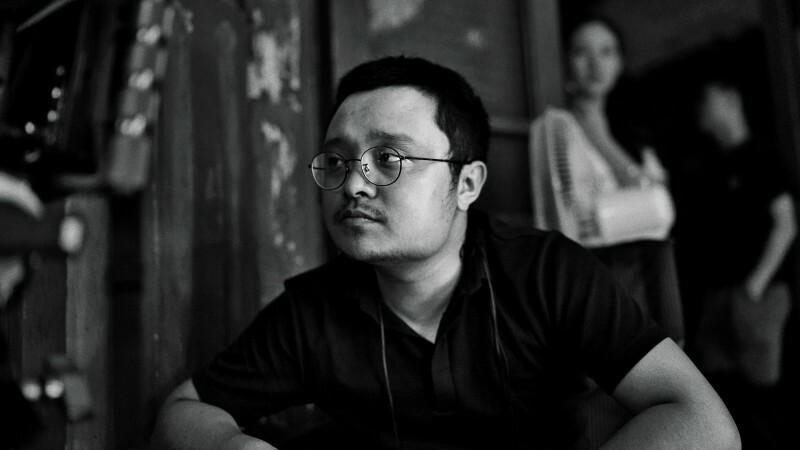 Outside of film festivals, it is sometimes hard to see your work in the cinema. I wonder if you feel that means it’s harder for working-class people, who are often the subjects of your films, to see them. Ken: I think we must have had around six hundred community screenings of this last one. Paul: I think people forget that it’s expensive to see films in the cinema. If you’re on £27 a week as a young person, you aren’t going to be able to pay £10 a ticket. I’ve just recently been in a junior prison in Scotland, and everyone has seen My Name Is Joe, Sweet Sixteen, The Angels’ Share—those are films they know and they quote lines back to you. They’ve seen them on TV or on DVD, or they’ve downloaded them! So a film has many lives. I was talking to a prison guard, and he said that everyone there gets called Pinball, one of the characters in Sweet Sixteen. They do find a way to see these films, and I think that’s a beautiful thing. When people say it’s only the middle class who see our films, that’s not my experience.